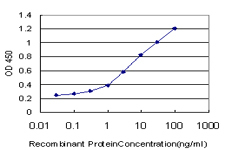 Detection limit for recombinant GST tagged RASGRP2 is approximately 0.3ng/ml as a capture antibody. 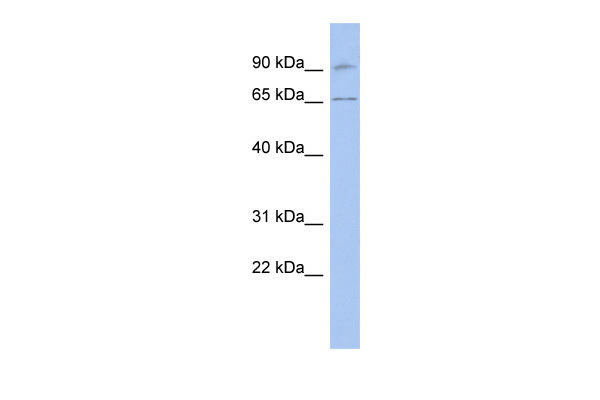 RASGRP2 polyclonal antibody (A01), Lot # NIH47060208QCS1 Western Blot analysis of RASGRP2 expression in A-431 ( Cat # L015V1 ). RASGRP2 Antibody (N-term) (Cat. #TA324479) western blot analysis in K562 cell line lysates (35ug/lane).This demonstrates the RASGRP2 antibody detected the RASGRP2 protein (arrow). RASGRP2 Antibody (N-term) (Cat. 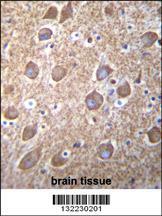 #TA324479)immunohistochemistry analysis in formalin fixed and paraffin embedded human brain tissue followed by peroxidase conjugation of the secondary antibody and DAB staining.This data demonstrates the use of RASGRP2 Antibody (N-term) for immunohistochemistry. Clinical relevance has not been evaluated. 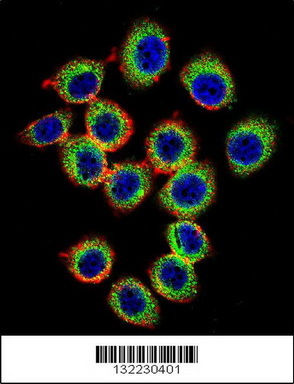 Confocal immunofluorescent analysis of RASGRP2 Antibody (N-term)(Cat#TA324479) with U-251MG cell followed by Alexa Fluor 488-conjugated goat anti-rabbit lgG (green). Actin filaments have been labeled with Alexa Fluor555 phalloidin (red). DAPI was used to stain the cell nuclear (blue).